Partnerships have been the key to ensuring the development of our technologies meet the needs of our target clients. During the validation phase of our company, many of the world’s largest oil companies sent GIT samples and validated our processes and procedures. These validations took place at Chevron, Shell and ExxonMobil. We are committed to continuous development of our products through a collaborative approach with these and other industry players. As of April 2010, GIT has an exclusive partnership with Oxford Instruments Magnetic Resonance to market, sell and provide integrated NMR hardware and software solutions to the oil and gas industry. GIT software is the standard operating system for all rock core analyzer instruments provided by Oxford Instruments, and GIT software is compatible with the full range of GeoSpec instruments and all other models of the hardware, such as the MARAN. For more information on Oxford Instruments, click here. In January 2015, MR Solutions and Green Imaging Technologies partnered to offer the ImaCore 3D Imaging system. The ImaCore system is being offered to all major oil producers, oil and gas service companies and researchers in the field of rock core analysis. MR Solutions has over 30 years’ experience in the development of cutting edge MRI scanning with in excess of 1000 installations across the world. Its scanners are renowned for their excellence in terms of high resolution imaging ability. The Strategic cornerstone of our company is the unique and close relationship with UNB’s world class MRI Research Centre headed by Dr. Bruce Balcom. GIT acquired the rights to the underlying technology for GIT Systems from the MRI Research Centre in 2006. GIT supports ongoing research at UNB through annual contributions to Natural Science and Engineering Research Council (NSERC) and Atlantic Innovation Fund projects. The combined funds and grants insure the continuation of high quality “deep science” projects. GIT has a right of first refusal on all products coming out of this relationship. 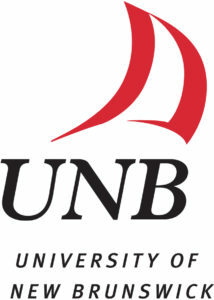 More information on the UNB MRI Research Centre can be found here. ConocoPhillips is the third-largest integrated energy company in the United States. Worldwide, of non-government-controlled companies, ConocoPhillips has the sixth-largest total of proved reserves; and based on crude oil capacity, is the fifth-largest refiner. For more information on ConocoPhillips go to www.conocophillips.com. Shell’s NMR research lab in Houston was one of our first users and currently has several licenses of the software. They are a valued member of our user group, providing consultations on future development and feedback on current product lines. GIT continues to look for partnering opportunities. It is our goal to make GIT Systems a “must have” for any core testing facility and will work with each laboratory to ensure that they are a satisfied customer. Please contact us at info@greenimaging.com for more information.